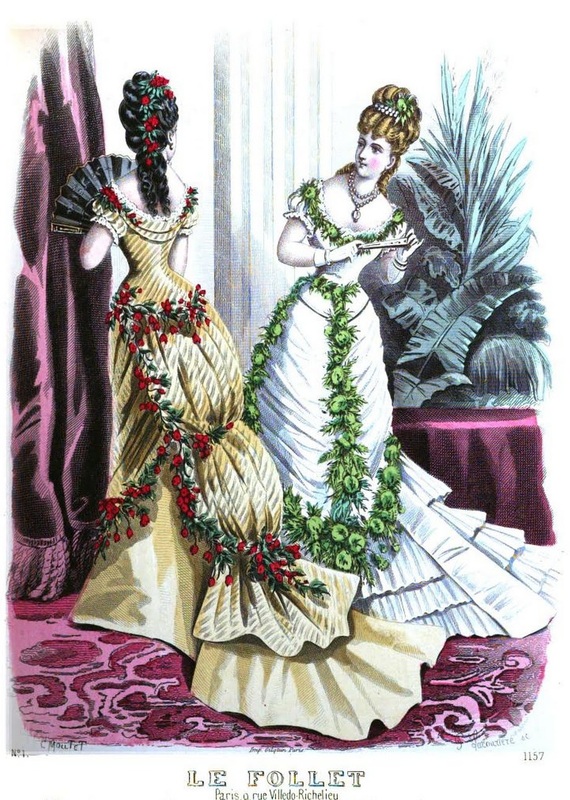 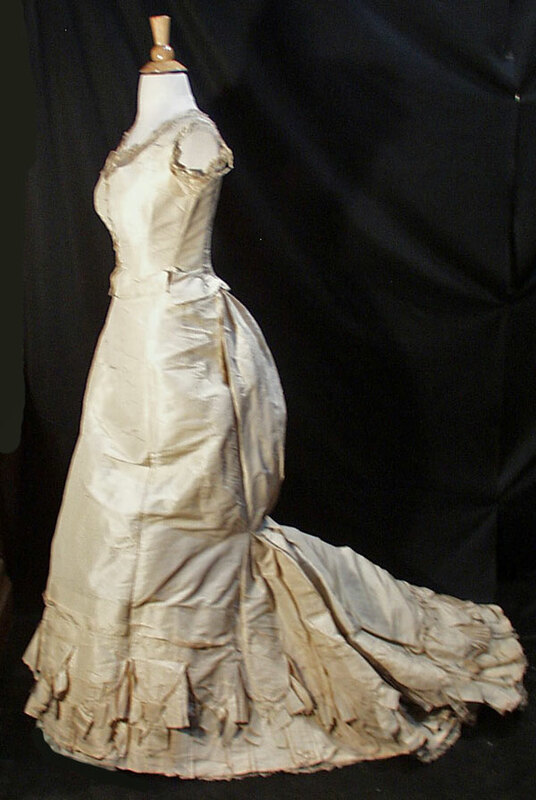 This is an attractive ball gown of the 1877-82 period, that a mid to upper class woman would wear. 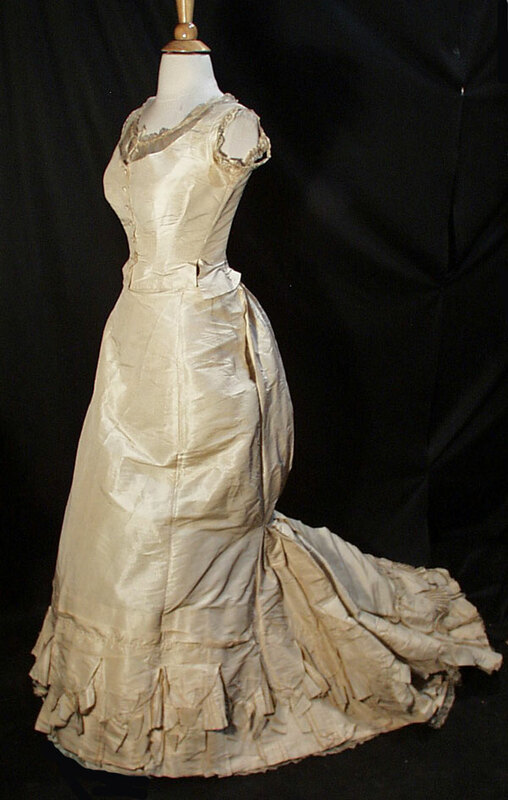 A regal IVORY silk moire 2 PIECE bustled and trained ball gown de-accessioned from the Rochester historical museum in New York state. 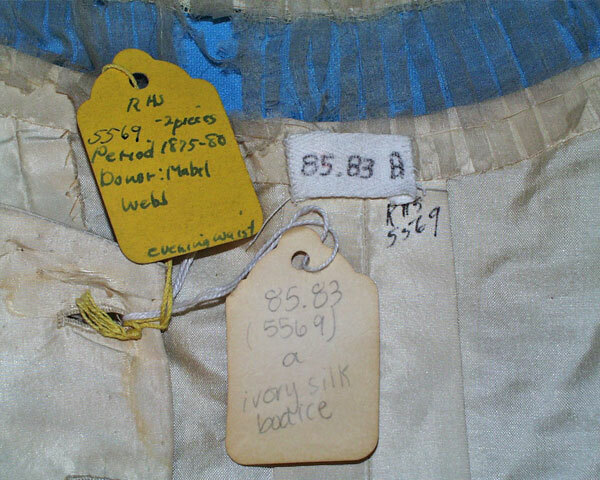 The gown still retains it's original Museum ID identification catalog tags, sewn inside as well as string tags. 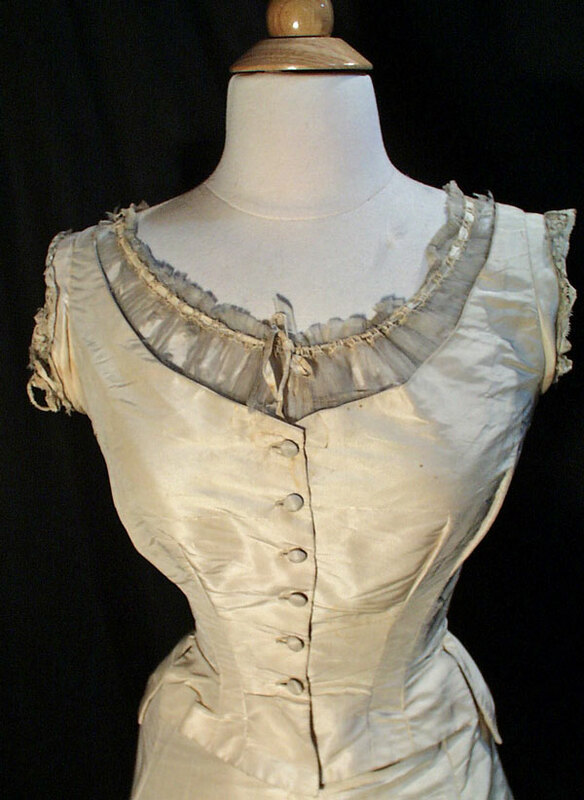 The bodice is lined with ivory silk and still retains all its original front buttons, and has 10 whale bone baleen stays. The bodice's underarms have heavy discoloration and needs to be replaced with gussets. 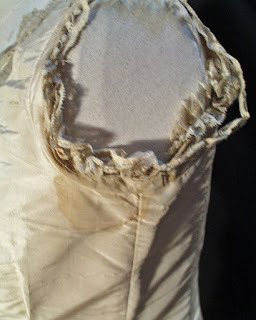 Lace around armhole has detached in many places and has damage. 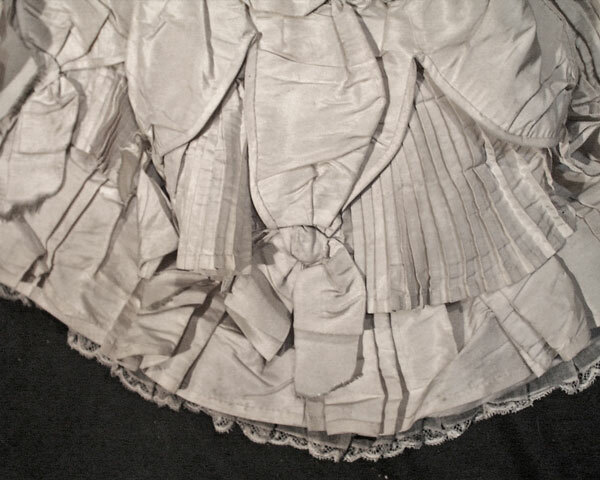 The neck line's pleated organdy is unstable and has many holes and rips. 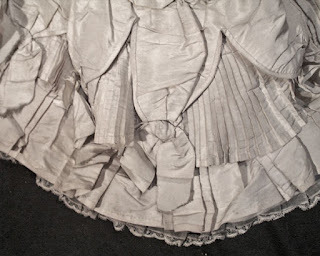 The organdy has a running satin ribbon gathering. 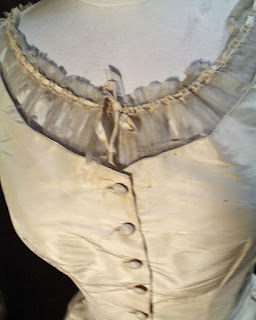 Bodice has sewn in tags as well as written on fabric, on inner neckline with museum's catalog idenification numbers. 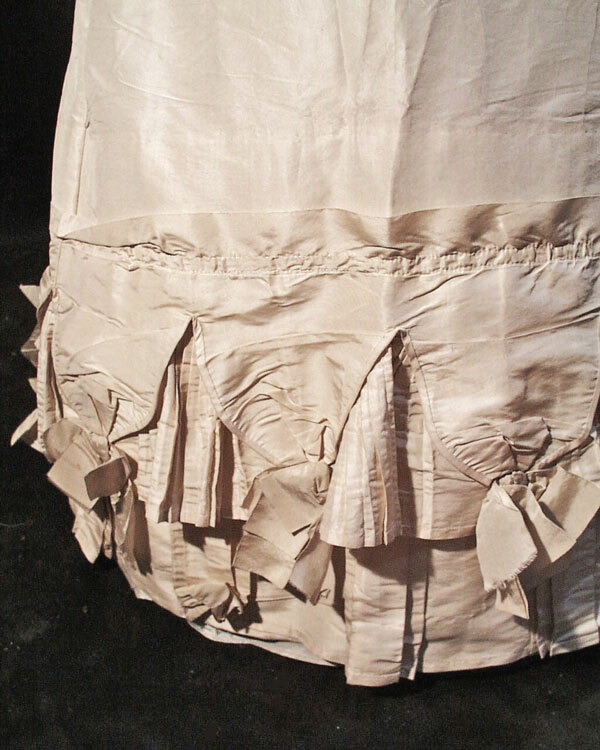 The skirt has a side pocket and closes by hooks and eyes at the back and gathers with pleats in the back for a nice fall and trained skirt ties in back. 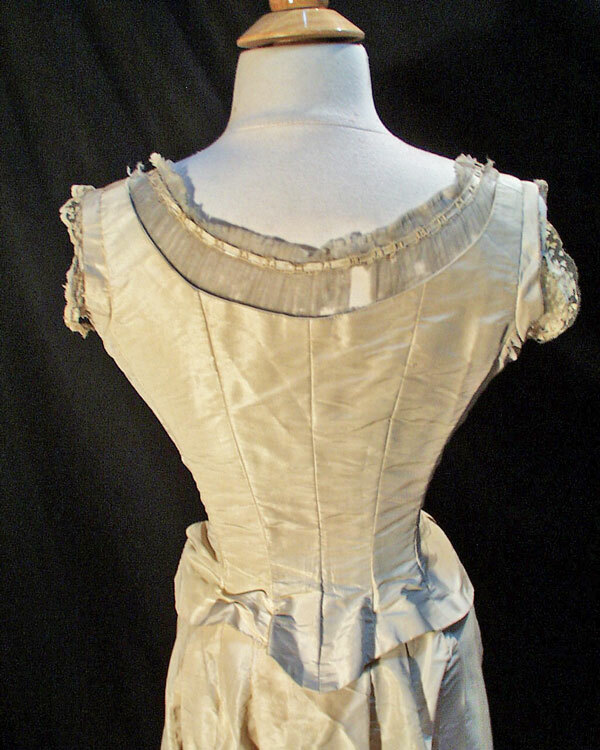 The rear puff enhances the outfit nicely. The skirt is lined with a heavy stiff gauze and ties to adjust the bustle effect. The skirt is in very good condition with no repairs, holes or stains. 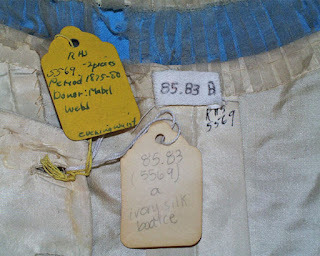 The skirt has sewn in tags as well as written on fabric, on inner waist band with museum's catalog idenification numbers. 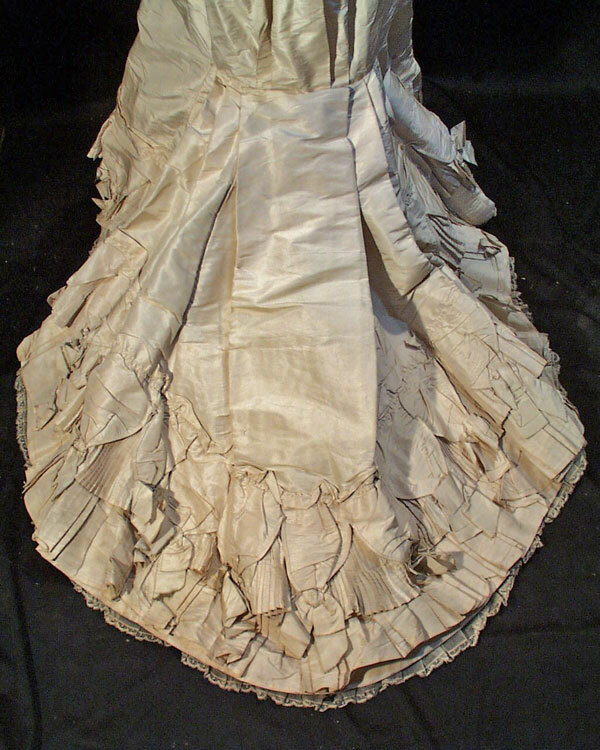 SKIRT: Front skirt length 43" Back length 60", waist 21"
Condition: The SKIRT is in very good condition, the BODICE is in fair condition. I'm putting this more to the 1876/1877 side of the Natural Form Era. Beautiful! 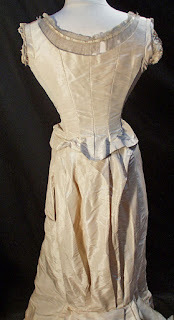 I love the pleated gussets and the faux chemise.